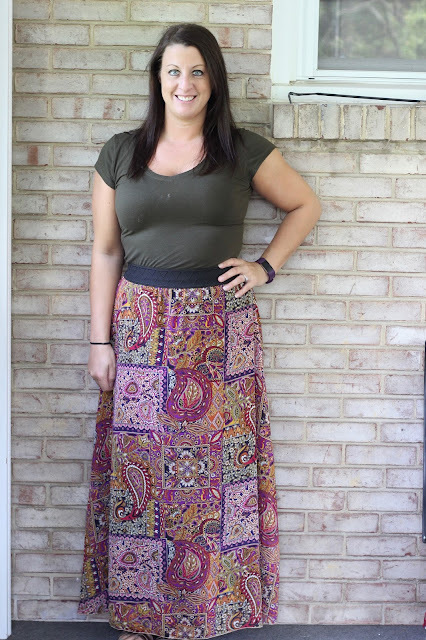 This is still my favorite skirt EVER and I never used to wear paisley. I love all the colors in it too. When I see paisley normally it has more brown, orange, and yellow tones and I think that's why I wasn't a fan. This skirt, however, has pink, purple, and green which makes it one of my favorite color combinations in my closet.